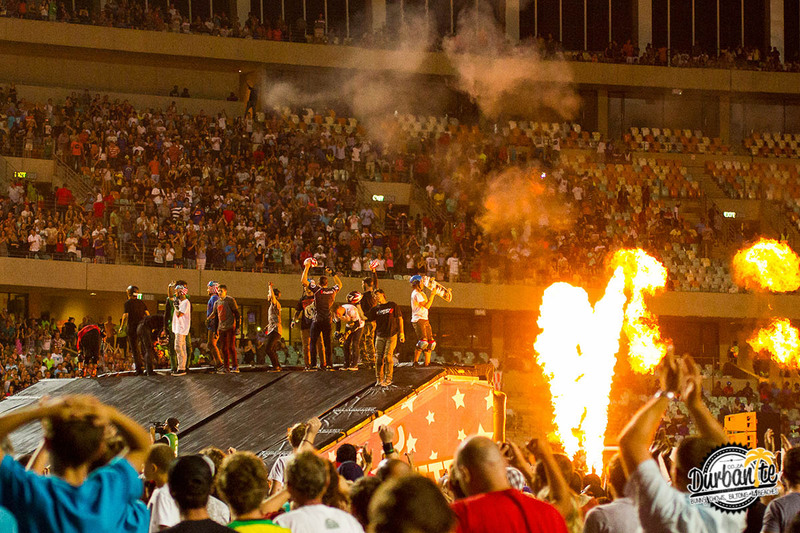 Nitro Circus Live (www.nitrocircuslive.com), the worldwide action sports spectacle, performed last in a magnificent sold-out show at Moses Mabhida Stadium in front of over 22 000 South African fans. The adrenaline charged audience witnessed 40 world-class athletes from around the globe perform record-breaking tricks in freestyle motocross, BMX and skateboarding, along with heart-stopping stunts on unique contraptions rarely attempted outside of the Nitro Circus family. Launched in 2001 it has since grown to become the most successful action sports touring franchise in the world. 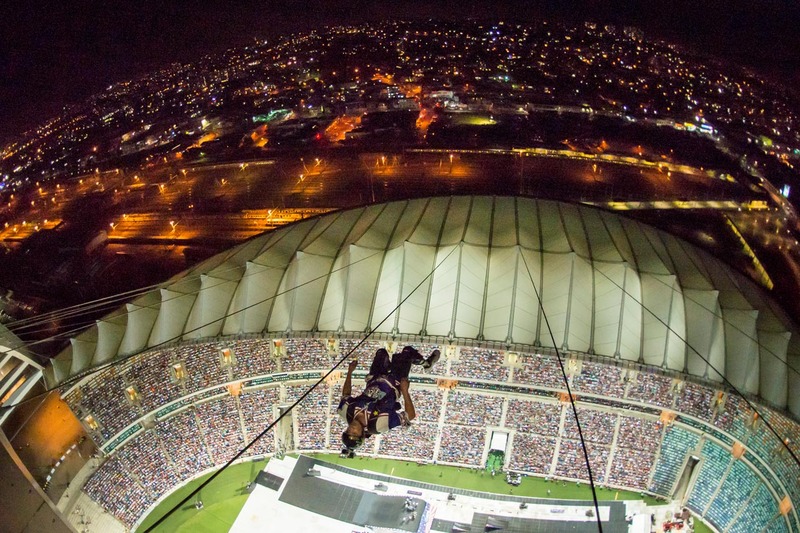 The highlight was NCL athlete, Erik Roner, performing a base jump in the show from the top of the arch at 350 feet above the stadium floor! A world first and never done before!